What are you doing this weekend? We’re monster mashing it up with a helluva killer Kool Kat extravaganza and more at the 3rd Annual MONSTERAMA CONVENTION, creeping and crawling into town this weekend, Oct. 7-9 at the Atlanta Marriott Perimeter Center! 1) THE GOLDEN BRUNCH OF MONSTERAMA! Have an intimate and devilishly delicious brunch with Monsterama special guest and Hammer, Bond, Harryhausen film star Caroline Munro Friday from 10am – 1pm! 2) CTHULUAU! Cthula on down (If you dare!) to the hotel pool on Friday night at 7pm and get lei’d up with mermaids, music and dancing, oh my! Hosted by Mike Gordon and Peter Cutter creators of TIKI ZOMBIE! 3) SILVER SCREAM SPOOK SHOW! Kool Kat Shane Morton, a.k.a. ghost host with the most, Professor Morte and the Silver Scream Spook Show featuring the Go-Go Ghouls and Monsterama guest, Caroline Munro, a.k.a. 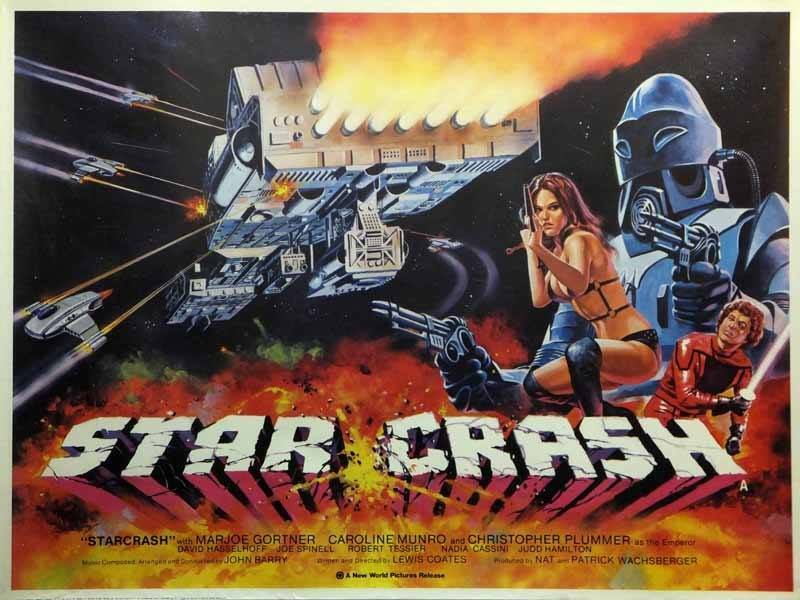 “Stella Star” will get intergalactic with a live show followed by a screening of Luigi Cozzi’s STARCRASH (1978) on Saturday beginning at 4pm! 4) FANGTASTIC FILM! 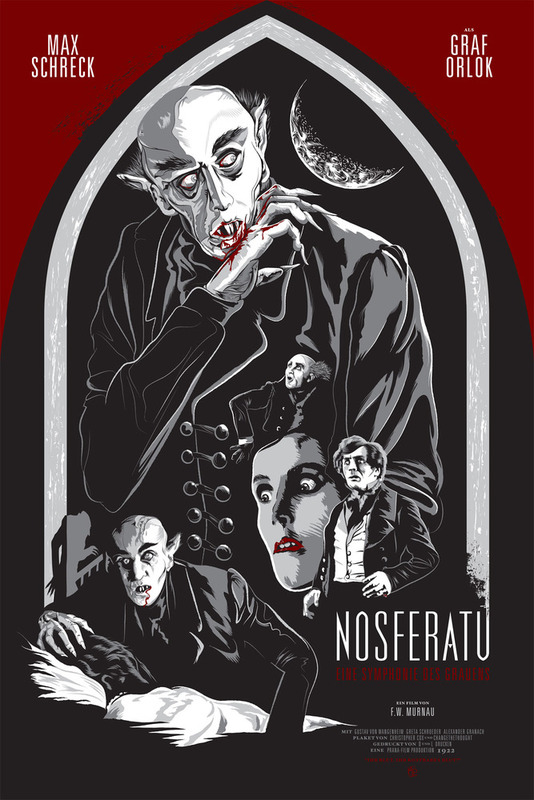 It’s monster movie madness with screenings of horrorific classics including Mario Bava’s CALTIKI, THE IMMORTAL MONSTER (1959); William Witney’s THE CRIMSON GHOST (1946); E. Elias Merhige’s SHADOW OF THE VAMPIRE (2000); F. W. Murnau’s NOSFERATU (1922) featuring a life soundtrack performed by Valentine Wolfe; Roger Vadim’s BARBARELLA (1968); Robert Rodriguez’ FROM DUSK TILL DAWN (1996), an adults-only screening of Denis Sanders’ INVASION OF THE BEE GIRLS (1973) and so much more! Antonio Margheriti’s CASTLE OF BLOOD (1964) in 16mm and so much more slaying cinema! 5) SPOOKTACULAR GUESTS! Catch some killer guests including James Marshall (TWIN PEAKS – see our Kool Kat feature coming soon! ); Zach Galligan (GREMLINS; WAXWORK); Caroline Munro (AT THE EARTH’S CORE; STARCRASH); Suzanna Leigh (LUST FOR A VAMPIRE); Trina Parks (DIAMONDS ARE FOREVER; THE BLUES BROTHERS); Kool Kat and monster artist extraordinaire Mark Maddox; horror novelist and filmmaker John Farris (THE FURY); horror history expert and documentarian, Kool Kat Daniel Griffith of Ballyhoo Motion Pictures; Kool Kat Shane Morton, ghost host with the most, a.k.a. 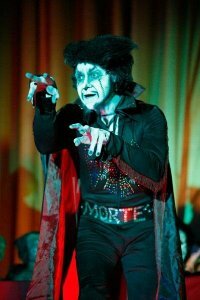 Professor Morte; glamour ghoul Kool Kat Madeline Brumby and so much more! 6) TWISTED TELEVISION! Get terrified T.V.-style throughout the weekend and catch screenings of Gene Roddenberry’s made-for-TV movie, SPECTRE (1977); THE OUTER LIMITS – “The Sixth Finger”; STAR TREK – “The Man Trap” and “Cat’s Paw”; MAN FROM ATLANTIS – “Crystal Water” and “Sudden Death”; THE WILD, WILD WEST – “The Night of the Iron Fist”; made for TV movie, THE QUESTOR TAPES (1974); and you won’t want to miss a super rare Kolchak Double Feature (THE NIGHT STALKER/THE NIGHT STRANGLER) in 16mm and so much more! 7) MONSTER MAKEOVERS! 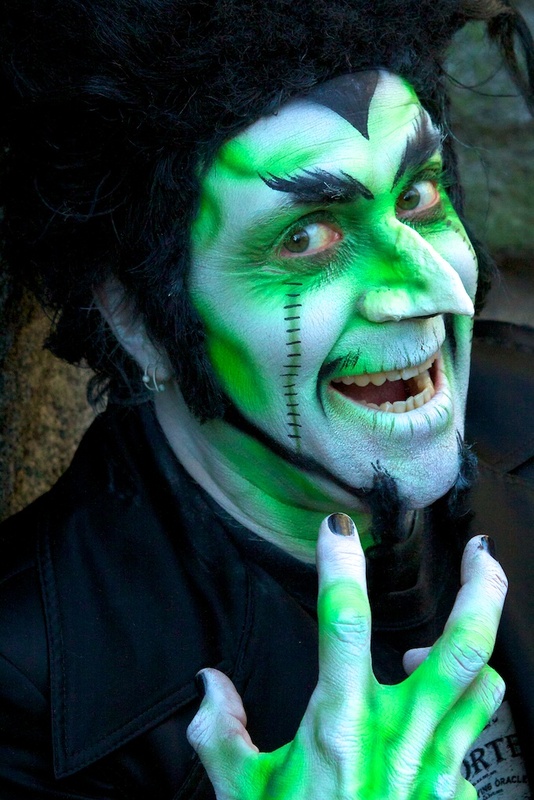 Get gore-gous with monster make-up galore as part of this year’s Makers Track! SFX man Kyle Yaklin, Kool Kat Shane Morton and Chris Brown share the secrets of the monster trade with their “Raising Cthulhu” event, where they’ll build a Lovecraftian Creature costume and promise a true teaching moment when they pass on their knowledge of the Necronomicon and how to summon the Old Ones! Get spooktacular with a “Gore Gore Girls – Special Effects for Kids” event featuring mom/daughter duo, filmmaker Dayna Nofke (Tiltawhirl Pictures) and ultra spooky Vivi Vivian! And don’t forget to stick around for a creeping cornucopia of frightful faces and monster masks! classics on DVD and creepy clothing, costumes and accessories. Vendors this year include Creature connoisseur and effects artist, Kyle Yaklin (See our Shop Around feature on Kyle here), Cult TV Man, Eraserhead Press and all the toys, collectibles and monstrous goodies you can get your ghoulish little hands on! 9) MONSTER PROM! Hey all you boils and ghouls, get frightfully funky at this year’s Monster Prom, Saturday at 9pm! Dust off the old rat-infested tux, clear out the cobwebs, shine up your shoes and get ready to do the Monster Mash, and maybe even Time-Warp into the wee hours of the morning, hosted by Professor Morte! 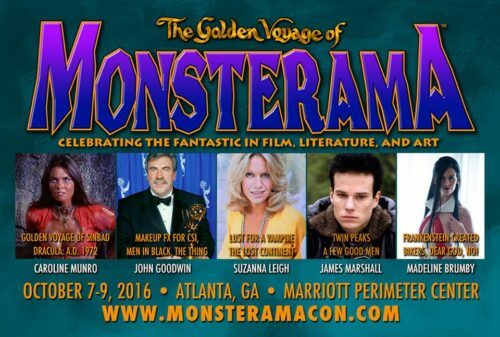 Monsterama main con hours are Fri. Oct. 7 from 4 to 12 a.m.; Sat. Oct. 8 from 9 a.m. to 12 a.m.; and Sun. 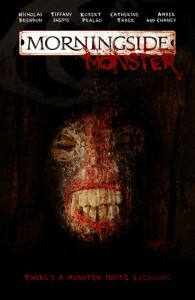 Oct. 9 from 9 a.m. to 5 p.m. For more info, visit www.monsteramacon.com. What are we doing this weekend?! We’re heading down to the third annual Days of the Dead at Sheraton Hotel Atlanta, Friday-Sunday Feb. 7-9. 1) THE THING REUNION! 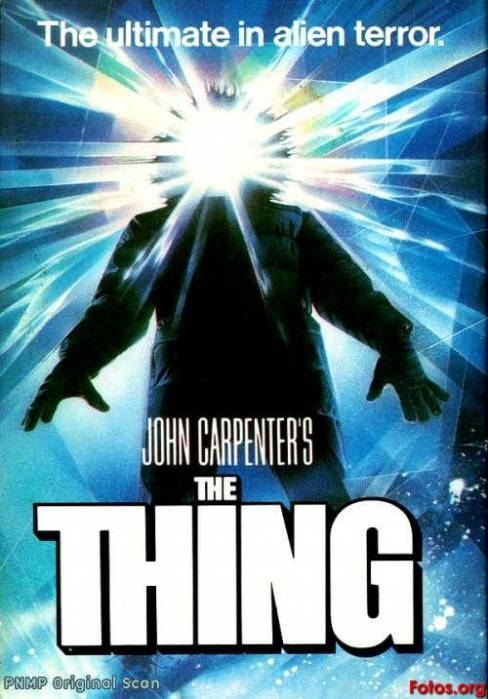 Given that John Carpenter‘s THE THING (1982) is one of those rare remakes that surpasses the original, we can’t think of anything more fun than meeting a bunch of the guys who signed on for Antarctic duty and ended up monster-meal. Keith David, Richard Masur, Joel Polis, Peter Maloney, Thomas Waites all together on one stage at 1 p.m. on Saturday and signing all weekend. 2) DAMIEN ECHOLS. We have followed the case of the West Memphis Three since 1993, and couldn’t be more happy that he is finally free. He talks about “Life After Death” Row Saturday at 7 p.m.
3) RUNAWAYS. We’re not sure how two of rock’s most badass babes ended up on the horror con circuit, but we’re not complaining about any chance to meet Lita Ford and Cherie Currie. Also rocking the roster are crazy ’80s metal man Dee Snider and Skinny Puppy’s Twiggy Ramirez. 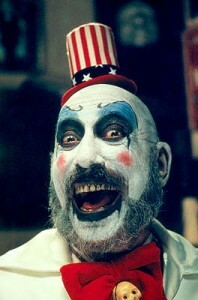 4) SID HAIG AND BILL MOSELEY. Sid Haig, one of those rare B-movie icons and character actors whose career spans the decades from Jack Hill’s blaxploitation films of the 1970s to the chaotic, creepy Captain Spaulding. Quite frankly you and Bill Moseley scared the sh-t out of us in THE DEVIL’s REJECTS and since we’re not easily scared, for that we salute you both! 5) BUTCH PATRICK, MEG FOSTER, CHRIS SARANDON, AND THE CRYPTKEEPER JOHN KASSIR! The guest list just seems to go on and on with Retro-horror goodness including the original Eddie Wolfgang Munster, one of Hollywood’s most eye-catching actresses and the star of another John Carpenter classic THEY LIVE (1988), the hot neighborly vampire from the original FRIGHT NIGHT (1985), and the man whose voice creeped us out so many times hosting TV’s TALES FROM THE CRYPT. 6) THE HISTORY OF THE SPOOK SHOW! Atlanta’s own Professor Morte leads the SILVER SCREAM SPOOK SHOW in a history lesson of this macabre art form which we are certain will both amaze and entertain. We may even learn something, too! 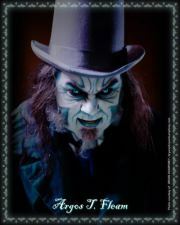 Professor Morte (Shane Morton). Photo courtesy of Shane Morton. 7) MARK MADDOX. If you’re a classic horror or sci-fi fan, you’ve undoubtedly encountered the work of this Rondo Hatton and Pulp Factory Award-winning artist on the covers of countless publications from Little Shoppe of Horrors to the 50th anniversary issue of DOCTOR WHO Magazine. His appearance is sponsored by Monsterama, Atlanta’s newest horror con which debuts August 1-3, 2014. 8) SPOOKTACULAR SHOPPING Horror cons are the perfect place to stock up on both macabre movie memorabilia, cult classics on DVD and creepy clothing, costumes and accessories. 9) MACABRE MAKE-UP, CREEPY COSTUMES AND PHANTAMAGORIC PARTIES!! Check the schedule for make-up demonstrations, VIP parties, costume contest Saturday night at 11 pm followed by the Monster Ball. On Friday night, learn SFX make-up from the masters in the Atlanta Zombie Apocalypse Presents Putrid Prosthetics, hear the funny side of wrestler-actor Roddy Piper, followed by a midnight Murder Ball hosted by Atlanta’s own most extreme Halloween attraction Chambers of Horror. 10) FRIGHTENING FILMS! The JABB 48-hour film festival featuring new indie horror, such as THE MORNINGSIDE MONSTER by ATLRetro Kool Kats Jayson Palmer and Chris Ethridge, as well as crazy has-to-be-seen-tobe-believed cult classic NEON MANIACS (1986). Days of the Dead main con hours are Fri. Feb. 7 from 5 to 11 p.m.; Sat. Feb. 8 from 11 a.m. to 7 p.m.; and Sun. Feb. 9 11 a.m. to 5 p.m., with parties going late into the night on Friday and Saturday. 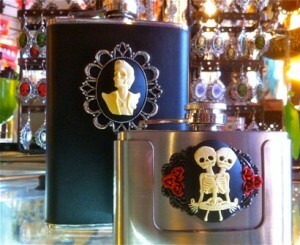 For more info, visit http://www.daysofthedead.net/atlanta/. For some time, Atlanta has boasted a fearsome fright scene—we’d even argue that it’s one of the best in the nation—thanks to the mad maniacs behind the Silver Scream Spookshow, Splatter Cinema, Gorehound Productions, Netherworld, Atlanta Zombie Apocalypse, Chambers of Horror, Buried Alive Film Festival, Rock N Roll Monster Bash, DEAR GOD! NO!… But the city weirdly never has hosted a full-out horror con. Riff Randell and Kate Rambo! 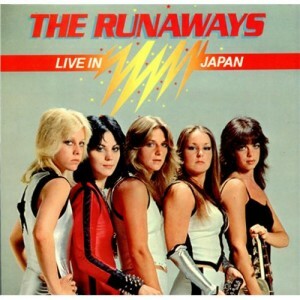 We’re still fantasizing of hanging with the Ramones and blowing up our high school, even after all these years, so we can’t think of anything more awesome than to meet and get the autographs of P.J. Soles and Dey Young, the actresses behind Joey’s biggest fan and the sexiest budding nuclear physicist ever to attend ROCK ‘N’ ROLL HIGH SCHOOL (1979). 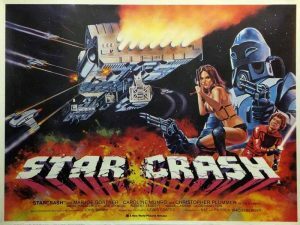 In case you’re too young to know this cult classic, get yourself educated by reading Mark Arson’s Retro Review here. Sid is one of those rare B-movie icons and character actors whose career spans the decades from Jack Hill’s blaxploitation films of the 1970s to the chaotic Captain Spaulding of Rob Zombie’s HOUSE OF 1000 CORPSES and THE DEVIL’S REJECTS. In our book, the latter is a modern exploitation classic and arguably the best of Zombie’s movies. Quite frankly you scared the sh-t out of us and since we’re not easily scared, for that we salute you, Sid, as a true master of horror. And OK, it’s pretty darned cool that your co-star Bill Moseley is going to be there, too, and both of you share a panel at noon Sunday. Being that THE WALKING DEAD is filmed inAtlanta, it seems perfectly unnatural to have a few of its zombies as con guests. 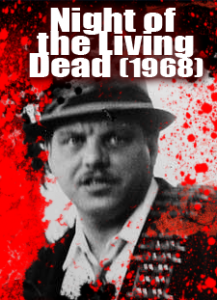 But we have to admit we’re more excited about meeting George Koshana (Sheriff McClelland) and John Russo (screenwriter) from the original NIGHT OF THE LIVING DEAD (1968). In fact, we’re just tickled blood-red that they’re still on the con circuit, especially after the sad recent loss of Bill Hinzman. Glad we met him down at Spooky Empire in Orlando a few years ago. While the Hollywood stars may be the headliners, another cool thing about Days of the Dead is it also embraces our local Atlanta scary subculture. At midnight Friday, the gory gang at Atlanta’s adult haunted attraction Chambers of Horror is hosting an adults-only Rock N Roll Torture Lounge. Watch lovely ladies spin the Wheel of Torture and win prizes as the Right Reverend Andy, of Psychobilly Freakout on Garage 71, spins horror rock and punk hits. Then at 8 p.m. Professor Morte, Persephone and the Silver Scream Spookshow will be throwing a special bonus show exclusive to Days of the Dead. Be there and be scared! Don’t just meet the stars, take a little time out to catch a few movies. Our favorite picks, of course, are cult classics, both old and new. 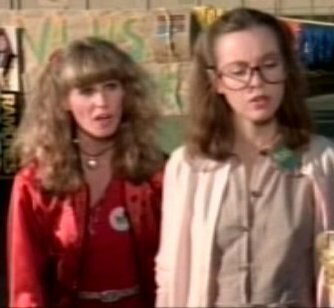 Linnea Quigley hosts a special workprint screening of ‘80s cult classic RETURN OF THE LIVING DEAD, featuring alternate scenses, takes and 15 minutes of footage never screened to the public, Friday night at 9 p.m. Then on Saturday, DEAR GOD! NO! has been generating quite a buzz on the festival circuit for its over-the-top authenticity as a homage to ‘70s exploitation films, and you have another chance to see it at 3 p.m. Catch up on our crazy interview with director Jimmy Bickert here. Be sure and pack your most frightening recreation of a horror icon, or at least your camera, as Days of the Dead serves up several costume events. On Friday night, dance until you drop dead at the Monsters Among Us Costume Ball, a Phantom Ball-themed costume party with DJs spinning. Then the best of the best compete at 4:30 p.m. Sat. in Wickedbeard’s Costume Contest. Finally Sunday, don your best zombie make-up with a Zombie Best in Show Contest, co-horror-hosted by Argos T. Fleam and Atlanta’s own Professor Morte. We’re informed that experts will judge on zombie poise, form, dexterity and talent. Dripping, dribbling, drooling and loss of appendage will reflect negatively on your final scores. Even if you’re not ready for that final ride to the graveyard, it’s always pretty amazing to see custom hearses done up with all the creativity of vintage hotrods. All day Saturday members of Atlanta’s Dead Ends Hearse Club will be showing off their wheels the Hell on Wheels Hearse Show, with raffles and giveaways and a contest for best of hearse at 2 p.m. The Man Behind THE CROW! 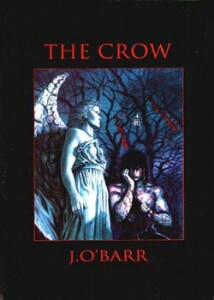 THE CROW began as a comic book with a cult/goth following about a mild-mannered guy returned from the dead to wreak revenge on the human monsters who raped and murdered his true love. Beautifully drawn and written, the haunting and violent tale by James O’Barr inevitably caught Hollywood attention but seemed destined for another fatal turn with the tragic death of star Brandon Lee, son of Bruce Lee, on the set. James has made Atlanta comics con and DragonCon appearances before, but it always make us smile to see him back because not only is he an amazing artist but also one of the sweetest guys on the planet. Be sure and ask him to show you the portfolio of what he’s been up to lately, and yeah, you can tell him we told you to. Horror cons are a great place to stock up on , and from the list of vendors booked for this weekend, we’re definitely bringing some extra cash and credit card. Hollywood Book & Poster always packs a super selection of vintage horror posters, stills, books, scripts and more at reasonable prices. And stop and say hi at the Diamond Star Halo table to ATLRetro Contributing Editor and Libertine proprietress extraordinaire Jennifer Belgard, who has really revved up our own Shop Around section. For a full vendor and artist line-up, click here. Those are just our top 10 reasons to come, of course. Yours may be Gary and Jake Busey, Roddy Piper, Jeff Burr, Tyler Mane or any of the other many guests. We don’t judge. We just say if you don’t support your local horror con, the first could be the last so get yourself down to Peachtree City and let’s have a fiendishly fun time together.